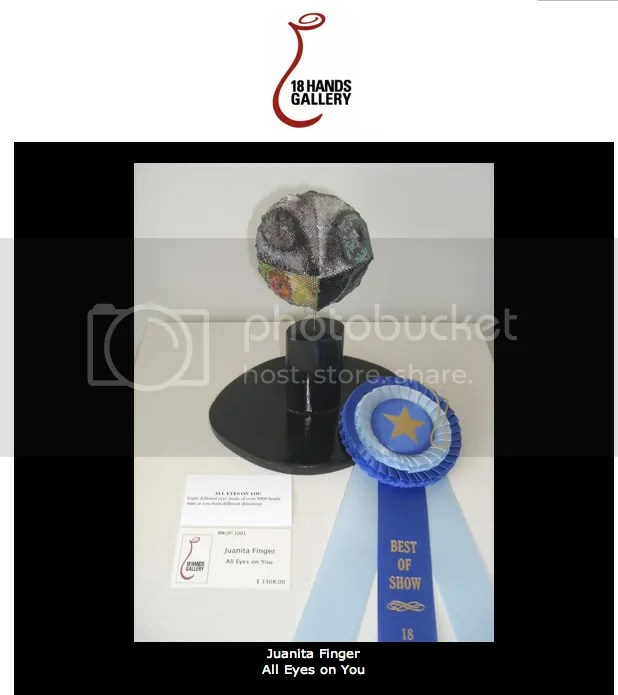 There will be beaded paintings, sculpture, books, jewelry, handbags, and other beaded objects (82 pieces of beadwork in all) on display through the month of November. If you live in upstate New York, Vermont, or near Montreal, Canada, please consider making the trip to check it out. 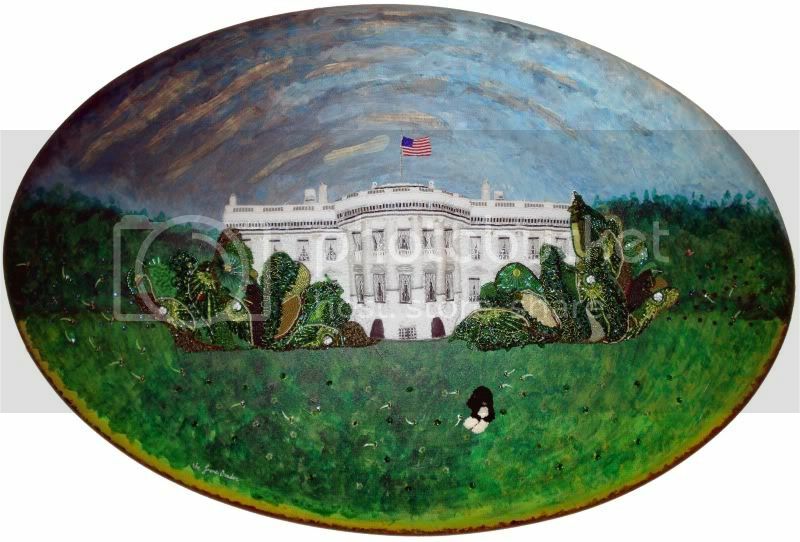 Many works will be available for sale. 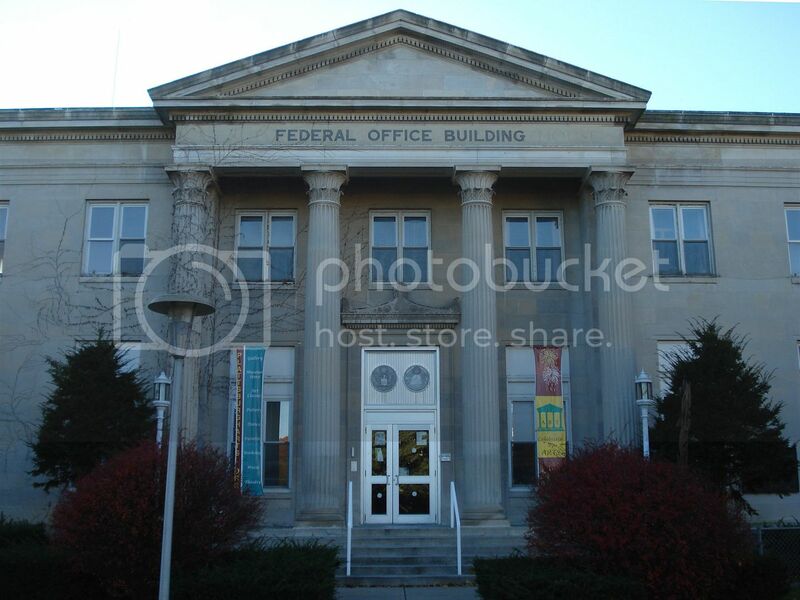 WHERE: North Country Cultural Center for the Arts. 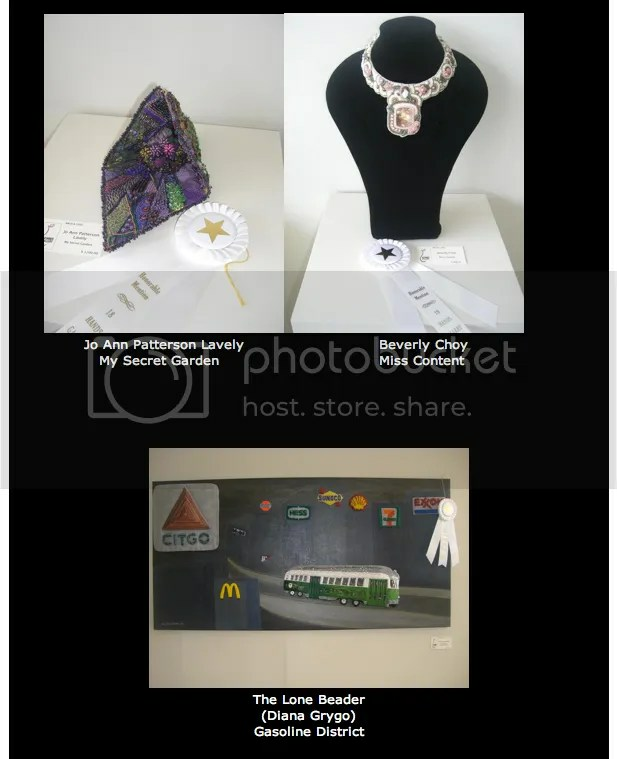 EXHIBIT DATES: November 6 – 29, 2010. HOURS: Tuesday- Friday: 9am-4pm, Saturday: 11am – 4pm. 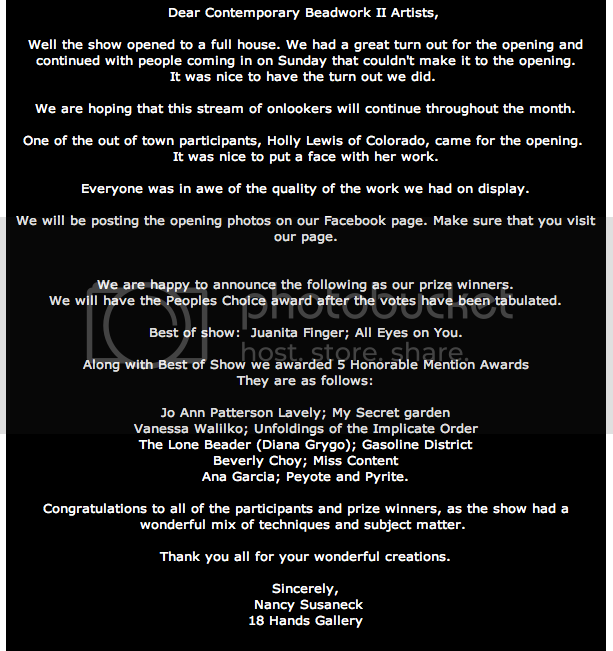 OPENING RECEPTION: SATURDAY, November 6, 5-7pm. 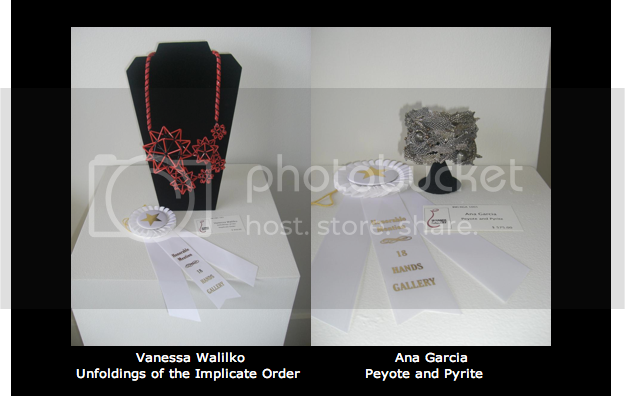 Today, I was planning on posting the progress of my beadwork, but then I remembered that I have another show to announce! Shows have really been keeping me busy lately! 119 Ripley Road, Cohasset, MA. 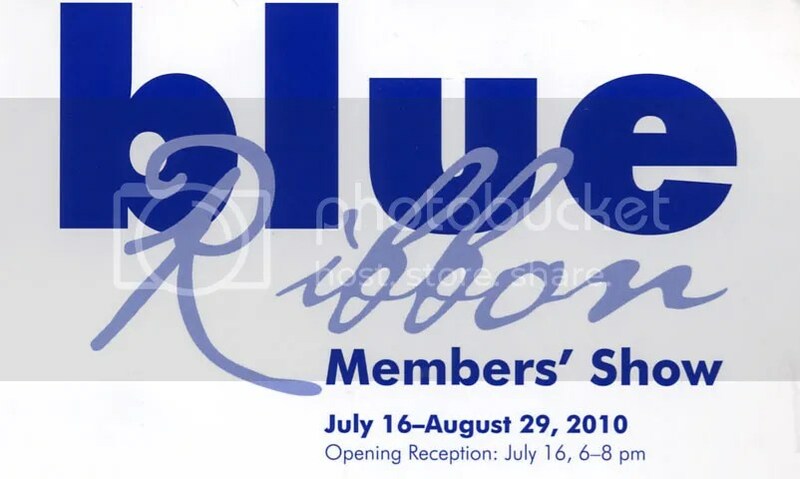 EXHIBIT DATES: July 16 – August 29, 2010. HOURS: Mon. – Sat. 10am – 4pm., Sun. 12 – 4pm. OPENING RECEPTION: Friday, July 16, 6-8pm. Just a quick reminder to those in the Boston, Massachusetts area. 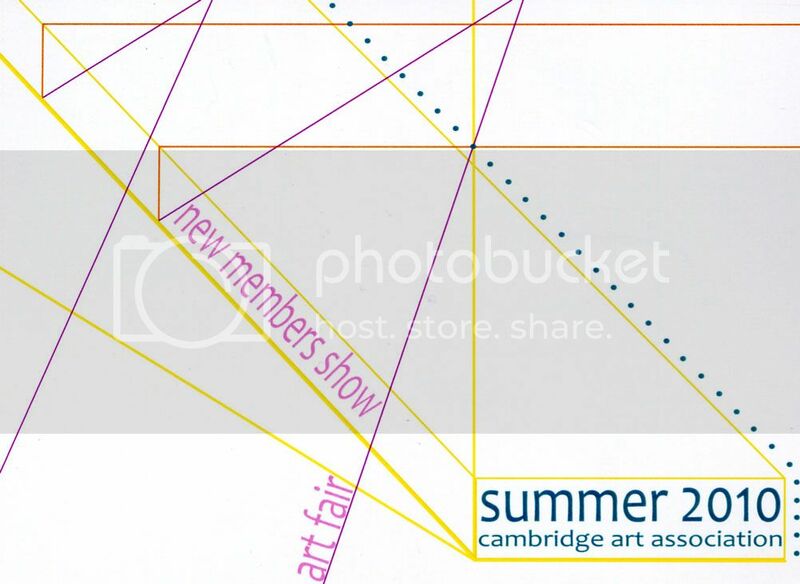 Tomorrow, (Saturday, July 10) from 12-2pm, is the opening reception for Cambridge Art Association’s New Members Show! The New Member Show displays the work of artists who have joined the Cambridge Art Association in the past year. If you happen to be in Cambridge or Harvard Square, please stop by the Kathryn Schultz Gallery to check out my beaded Yellow Submarine painting, The Hijack, as well as many other works! 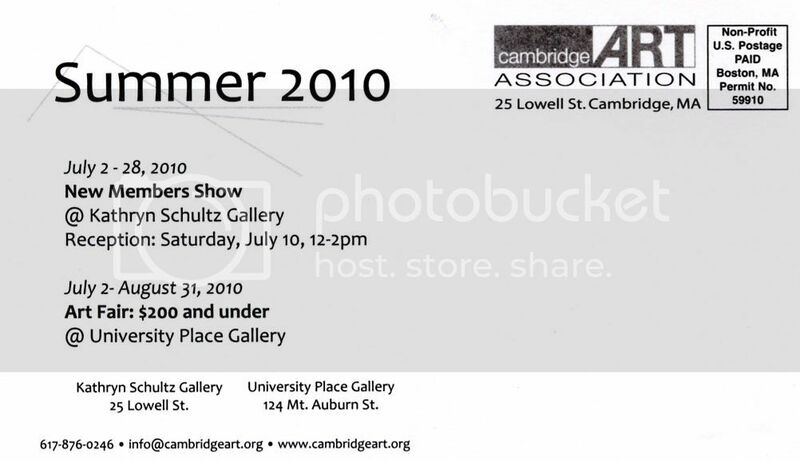 This exhibit takes place at 25 Lowell St. Cambridge, MA, and runs now through July 28, 2010. 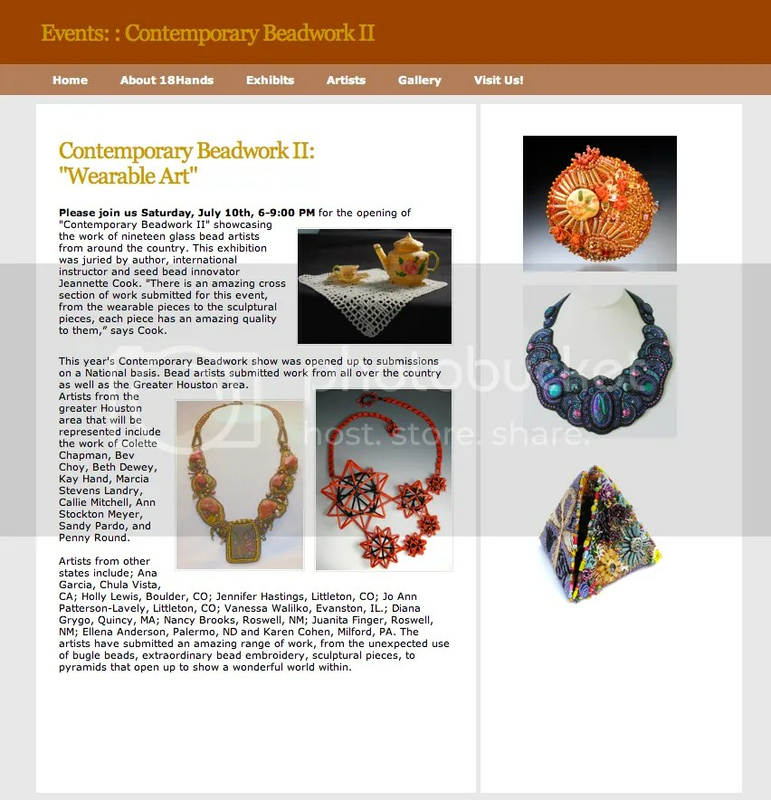 >Contemporary Beadwork Exhibit & Magazine Mention! 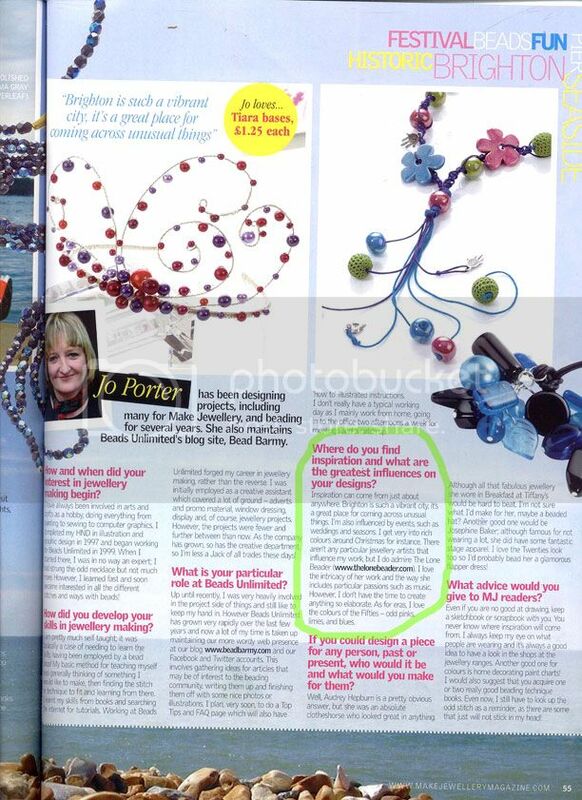 Which reminds me, if you missed my interview on Beads Unlimited’s Bead Barmy blog, be sure to check my ‘Featured’ page for the link. That’s the news for now. Back to beading! 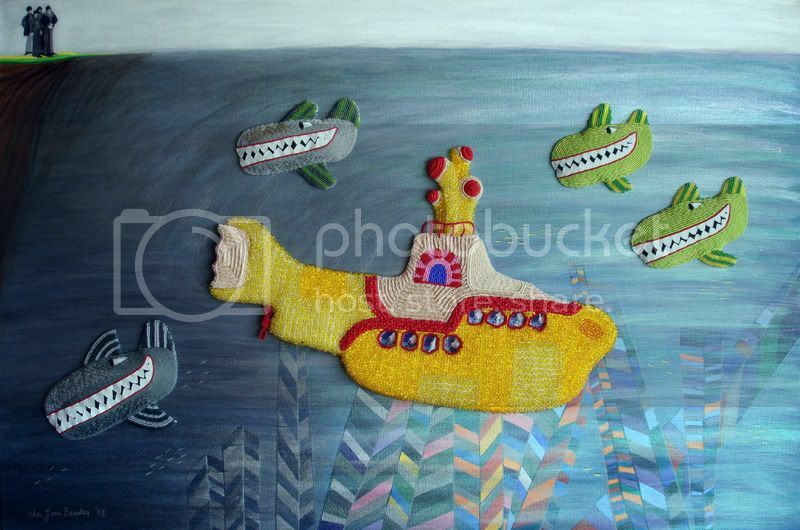 The infamous beaded Yellow Submarine hijack of 1968 is the most probable explanation for all of this anti-music… MEDIA: glass seed beads, acrylics. 24″ x 36″. 25 Lowell Street, Cambridge, MA. Hours: Tuesdays through Saturdays 11am to 5pm. *The exhibit runs from July 2- July 28, 2010. 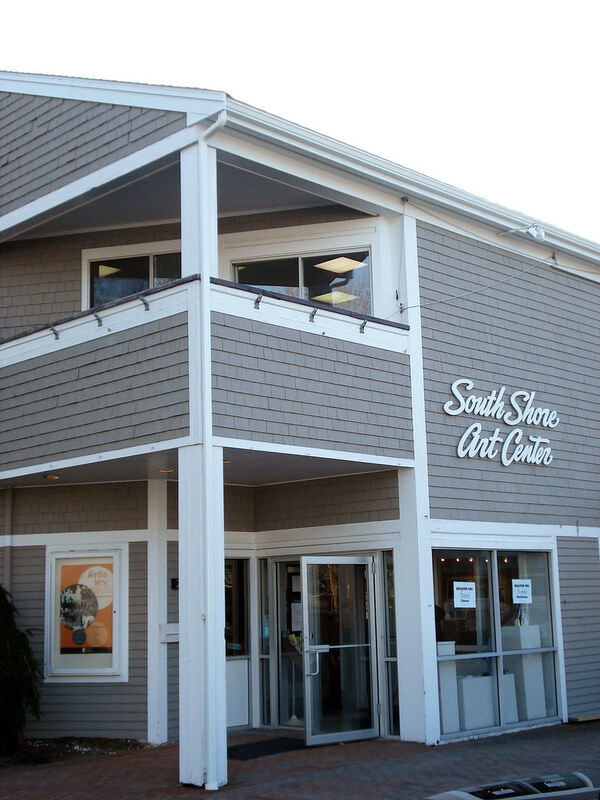 *Opening reception is on Saturday, July 10, 12-2pm. If you happen to be in the neighborhood, I hope you’ll stop by!